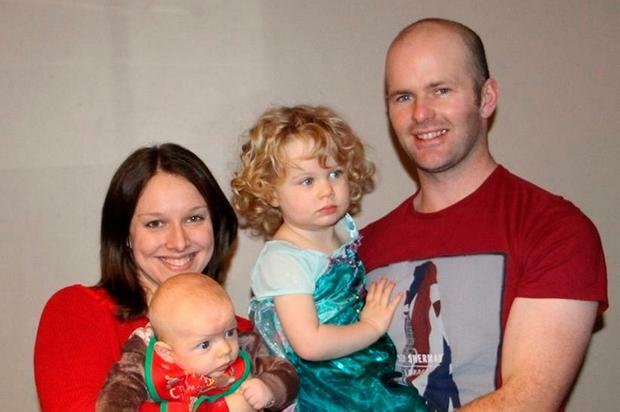 Friends and family of an Irishman murdered in Australia have set up a fundraising campaign to support his wife and young children. Father-of-two, Charlie McCarthy, died after he was stabbed in the head during a street attack in East Freemantle, near Perth. The violent attack took place while Mr McCarthy, his wife Nicole and a friend were waiting by a taxi rank on December 23. It is believed a row broke out between two fisherman who were nearby. The details of the row are unclear but Mr McCarthy was struck in the head and collapsed on the ground. He later died of his injuries at the Royal Hospital Perth. Mr McCarthy's family travelled from his hometown in Aghada, east Cork to Perth before his life support was switched off on December 26. Friends and family of Mr McCarthy have set up a fundraising campaign to raise financial aid for his wife Nicole and two young children, Clara and Niall. The Charlie McCarthy Trust was launched on the online fundraising site, GoFundMe. To date, AUS$24,002 (€15,000) has been raised of the AUS$30,000 (€19,530) goal. The funds have been raised by 248 people in just one day. Mr McCarthy is described as "one-of-a-kind" on his fundraising page. "His big smile and quick laugh lit up every room. A fun dad, he was as adored by his children as he adored them. "He gave his love so easily and welcomed everyone into his world. "A wonderful husband, an incredible father, and the most loyal friend you could ask for. He is irreplaceable and will be forever missed." It is understood that The Claddagh Association is assisting Mr McCarthy's friends and family with the administration process. The Perth-based support group assists people from the Irish community in times of crisis. Meanwhile, a book of condolence has been opened for Mr McCarthy in Cork. Aghada GAA opened the book in their clubhouse for their former player on Friday morning between 10am and midday and it will open again between 1 and 4pm tomorrow. Club secretary Dareen Lee posted a notice on the club's Facebook page and paid a moving tribute to Mr McCarthy. "Charlie joined us in his teenage years and had a positive impact with his energy, dedication and attitude throughout his time in the club," said Mr Lee. "On moving to Australia, he continued to wear the club colours with pride and celebrated club successes like so many at home and abroad. "What is clear from listening to those who knew him best was that the dedication and energy we experienced on the pitch, was small compared to his dedication for his wife Nicole and their children Ciara and Niall. "Whilst Charlie’s loss has been felt in the club, his passing is a loss to all in the Aghada community, those at home and overseas. We offer our heartfelt condolences and prayers to his family and friends locally and to Nicole and their children in Australia." Fisherman Andrew Doan (34) was brought before Perth Magistrates Court on December 27 charged with grievous bodily harm. He was refused bail and is likely to face more serious charges, such as manslaughter or murder.